Tasted this blind at a recent Cabernet tasting, along with the Araujo. This looked almost Euro. 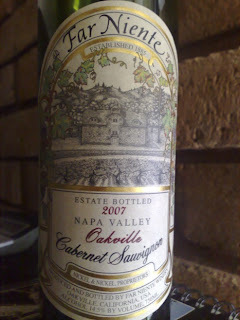 There was a certain sexiness to it that you don’t usually see in Californian wines. It opened a little weedy but shook this off pretty quickly in the glass. Evolved nicely. Blackcurrant dominating the nose. Palate had a bit of tannin action, although it had lovely texture and came alive with each sip. Plummy and raspberry, midweight and a little restrained – again, something not normally associated with this region. I liked this more and more in the glass. Nice evolution over a few hours, but I don’t usually want to sit on a glass for that long to find out. A very good wine from a very good vintage. Value: US$115 – ridiculous really, but if you want it, you’ll pay for it. 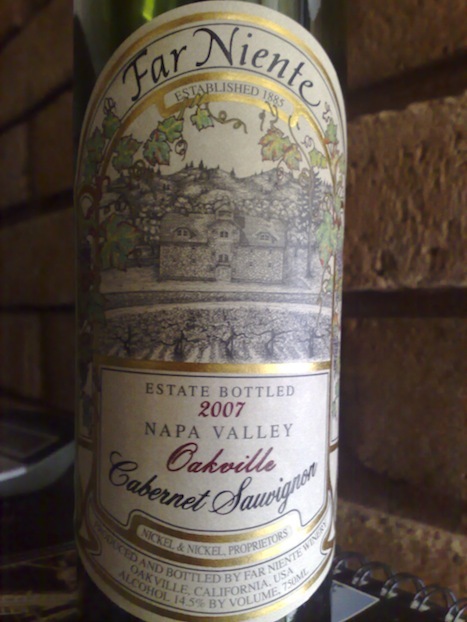 Region: Oakville, Napa Valley, California. The base for this wine is sourced from the winery’s Oakville Estate – a 100 acre planting known as the Martin Stelling Vineyard. Soils are gravelly loam.